“Rocky Road” – When an icy spell is cast on Marian, which will ultimately freeze her heart and kill her, the Storybrooke residents place the blame on Elsa. But unbeknownst to anyone, a mysterious woman who runs the town’s ice cream parlor has the same powers as Elsa and is trying to frame her. Emma and David find former Merry Men member Will Scarlet rummaging through Robin Hood’s tent, Regina teams up with Henry to try and discover who the author of the fairy tale book is, Mary Margaret is having trouble balancing her duties as leader of Storybrooke and mother to young Prince Neal, and Hook begins to suspect that Mr. Gold is still in control of the dagger that calls upon him to be the Dark One. 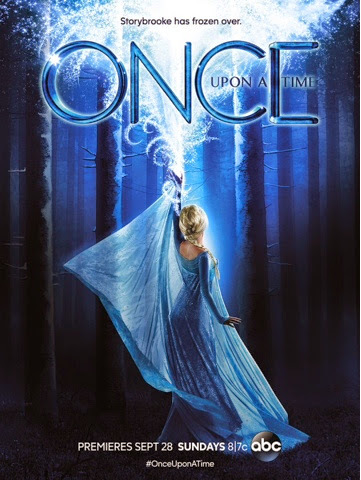 Meanwhile, in Arendelle of the past, Elsa and Kristoff set off to stop Hans from attempting to take control of the kingdom, on “Once Upon a Time,” SUNDAY, OCTOBER 12 (8:00-9:00 p.m., ET) on the ABC Television Network. Guest starring are Lee Arenberg as Leroy/Grumpy, Raphael Sbarge as Archie Hopper/Jiminy Cricket, Beverley Elliott as Granny, Sean Maguire as Robin Hood, Georgina Haig as Elsa, Scott Michael Foster as Kristoff, Raphael Alejandro as Roland, Christie Laing as Maid Marian, Charles Raahul Singh as General, Tyler Jacob Moore as Hans, Nils Hognestad as Franz, Marcus Rosner as Jurgen and Elizabeth Mitchell as Snow Queen. ”Rocky Road” was written by David H. Goodman & Jerome Schwartz and directed by Morgan Beggs.